Israelis spend 9.28% less in food chains than in previous years, but spend more altogether on their Passover purchases. Data from the automated bank services company which operates the central clearing system for Israeli credit cards have revealed that in the week before Passover Israelis spent some 830 million shekels on credit card transactions in food chains. This represents a 9.28% reduction compared with the same pre-Passover period in 2016 in which 915 million shekels were spent. The company maintained that since Passover this year fell on Monday night, many Israelis included their Passover Seder purchases in their Shabbat acquisitions and did not make a separate purchase for the festival. Last year the festival fell on Shabbat. A slight reduction was registered in food chain transactions with credit cards, from 4.76 million to 4.73 million transactions in 2017. An additional 8.5% reduction was recorded in the average purchase sum , from 192 NIS to 175 NIS on average. 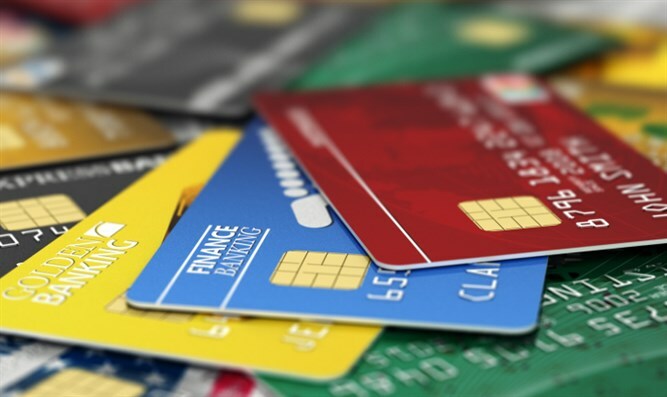 The entire credit card purchase sum in all branches during the week preceding Passover was 3.77 billion NIS as opposed to 3.73 billion NIS in the corresponding period last year - a rise of 0.9%. However the number of transactions dropped by 16.9% in comparison with last year. The company estimated that here too the reason is the fact that the festival fell last year on Friday, allowing for a broader range of transactions in the week preceding Passover, as opposed to this year when Shabbat fell before Passover. The heaviest volume of transactions fell on the Friday before Passover, with 495,000 transactions completed in the hour between 10 A.M. and 11 A.M.